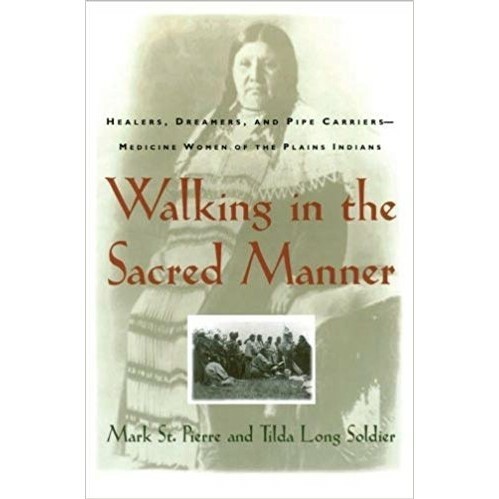 Walking in the Sacred Manner is an exploration of the myths and culture of the Plains Indians, for whom the everyday and the spiritual are intertwined and women play a strong and important role in the spiritual and religious life of the community. Based on extensive first-person interviews by an established expert on Plains Indian women, Walking in the Sacred Manner is a singular and authentic record of the participation of women in the sacred traditions of Northern Plains tribes, including Lakota, Cheyenne, Crow, and Assiniboine. Through interviews with holy women and the families of women healers, Mark St. Pierre and Tilda Long Soldier paint a rich and varied portrait of a society and its traditions. Stereotypical images of the Native American drop away as the voices, dreams, and experiences of these women (both healers and healed) present insight into a culture about which little is known. It is a journey into the past, an exploration of the present, and a view full of hope for the future.